Round trip international airfare from New York City to Germany. Round trip transfers to and from the airports and hotels in Germany & Austria. First class hotel accommodations in Frankfurt, Munich and in a small Bavarian village. Private deluxe motor coach and driver the entire time. 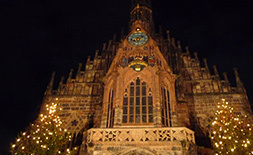 Visiting the town and Christmas market in Nuremberg, Germany. A visit to the Sulky Threads Factory in Stockstadt, Germany. 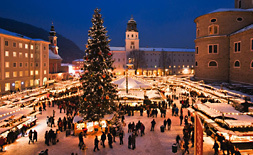 Shopping in the Christmas market in Salzburg, Austria. A panoramic city tour of Munich with a professional guide. A ferry ride on Lake Chimsee. 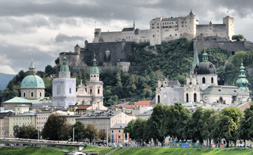 A leisurely walking tour of Salzburg including some movie locations from the "The Sound of Music." A boat ride and tour of the extraordinary Herrenchimsee Palace. Special showing of Destination Craft with Jim West– Bavaria/Austria episode. A visit to the Sulky Thread dyeing facility in Hard, Austria. 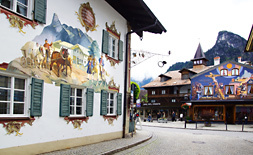 A drive to the charming village of Oberammergau. 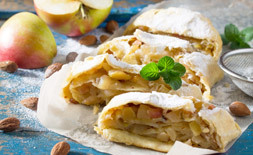 An optional Austrian cooking lesson with a professional chef making homemade apple strudel. An opportunity to make hand blown glass Christmas ornaments. Stopping for a visit in the charming Austrian village of Rattenburg. Visiting the Christmas market in the bustling city of Innsbruck. A panoramic tour of Frankfurt with a professional tour guide. Craftours totebag, lanyard and luggage tag. Cost of this optional Austrian cooking lesson is $76.00 per person. 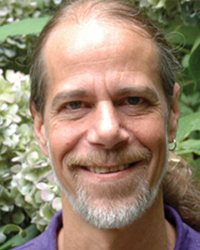 With over 28 years in the sewing industry, Eric Drexler is an artist and creator as well as sewing machine aficionado. Free-motion stitching has been Eric's life-long passion and he has won various awards for his artistry with fabric and thread. He is passionate about inspiring students of all ages so they can discover and enjoy a lifetime of creative fun. Find Eric teaching at a variety of consumer sewing and quilting shows, Sew Exciting Seminars, Guild Programs and on PBS. 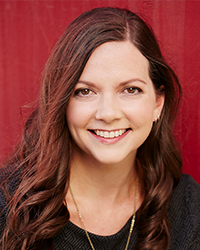 The former editor of Sew News and Creative Machine Embroidery magazines, as well as host of Sew it All on PBS, Ellen March is now the Director of Content for Sulky of America. Ellen loves sharing her love of sewing through projects that inspire and products that instill confidence. She’s passionate about making sewing accessible for everyone and anyone who wants to learn. Before Sulky was a household name, Joyce and Fred Drexler were running a sewing and fabric storefront in Florida, which led to Joyce founding Speed Stitch in 1980. Through Speech Stitch, she taught thousands of store owners all over North America how to teach free-motion embroidery to their customers with just a basic zigzag stitch on a sewing machine. These were the years before the home embroidery machine took off and her extensive knowledge and experience with the many different threads and stabilizers were quickly catching on. Realizing that there was a market for stabilizers and threads for the home sewist, the Drexler’s joined up with Chris Gunold, of Gunold Worldwide, in 1987 and the Sulky brand was born. Joyce continued teaching how to use all these different materials through the 22 books that she authored over 28 years and numerous in-store and guild seminars that Sulky National Educators taught. After Hurricane Andrew devastated Florida, the Drexlers moved their operation to Georgia; which is where they are to this day. The mission statement of Sulky truly sums up the heart of their company: Sulky longs to help bring beautiful things into the world; to inspire others and help creators have confidence. Their passion is to provide the tools and education for them to do that. Sixty percent of Sulky’s product lines concern machine embroidery, with their rayon threads and stabilizers being sold through JoAnn’s, while the other forty percent is split between quilting, sewing, and handwork. Independent retailers have the exclusive rights to sell Sulky’s cottons; including their Cotton Petites. While you can order threads and materials through their main website, once the order goes through Independent Retailers are given the opportunity to fulfill that order before Sulky takes over. This is truly evidence of their eagerness to encourage and support your small local quilt shop. One of their most recent products is their collaboration with Cotton + Steel. Their partnered collection offers one hundred different colors of 50-weight cotton threads designed to match any Cotton + Steel fabric selection. Watch to see how Sulky Cotton + Steel threads are made from cotton to spool. The world of home sewing has changed drastically since the Drexler’s began their storefront over 49 years ago. When Sulky was born in 1987 they were the only thread company selling decorative threads. Indeed, they created the category. Fast forward to today and there are twenty-six. Sulky is answering the question of how to stay relevant in this crowded and ever-changing market by striving to set themselves apart through education. The sulky.com website offers a wide selection of education videos with both free and paid content. With Sulky, you do not just receive a product, but you receive access to loads of education and ideas on how to use that product. Sulky is active on Instagram, Facebook and through their blog. Their blog is updated regularly and is full of project ideas to inspire your creativity.